Direct tax is when person pays tax from pocket. 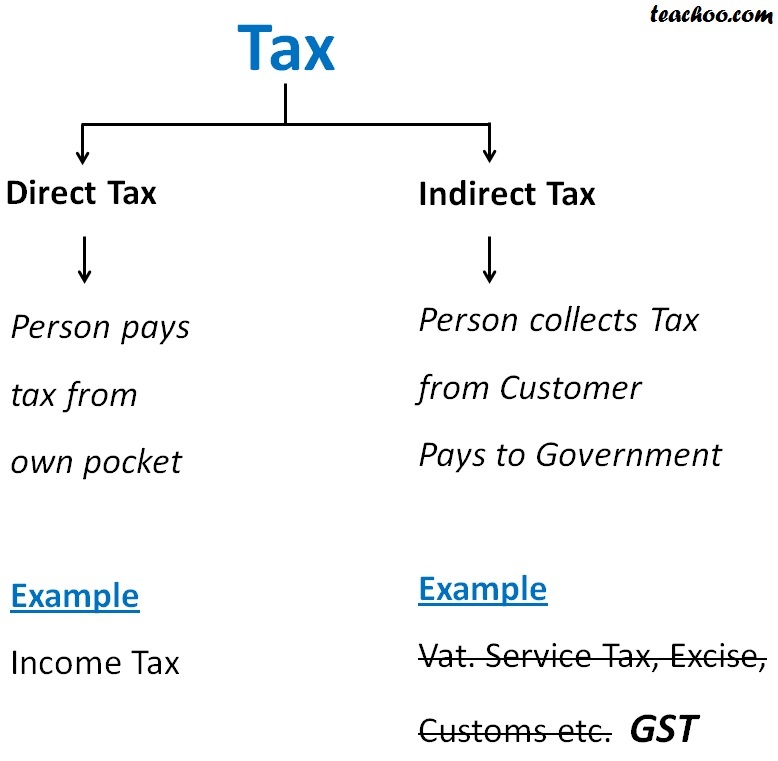 Indirect tax is when person collect tax from customer pay to government. Example Income tax is direct tax and Vat, Service tax, Excise, Customs etc.